Things got real when he pulled his own copy of Our Daily Bread out of his pocket and explained that he keeps it on him at all times. On October 29th, students fidgeted in the basement of Saint Mary’s Student Parish, entertaining themselves with meager attempts at stand-up comedy as they eagerly awaited the arrival of Michigan basketball coach John Beilein. After what seemed like a small eternity, Coach Beilein swept smiling into the room to a wealth of applause, despite having just left his team’s evening practice. Mainstream America rarely discusses sports and religion seriously at the same time. I specify seriousness here because we all have the occasional tendency to ascribe dramatic wins and losses to divine intervention (I’m truly not sure to what else we could attribute Game 5 of this year’s World Series). In general, however, we rarely seriously discuss spirituality in an athletic context without getting a little uncomfortable. If you need an illustration of this, perhaps the Tim Tebow controversy circa 2011 seems the most fitting. I wish that more people had the opportunity to hear Coach Beilein speak, because it occurred to me that college students more than anyone could benefit from hearing the counsel of a man who has managed to integrate his faith so seamlessly into his everyday life. Beilein embodies the idea that religion and prayer are simply one part of our character, yet also have the capability to significantly improve all other aspects of our lives. 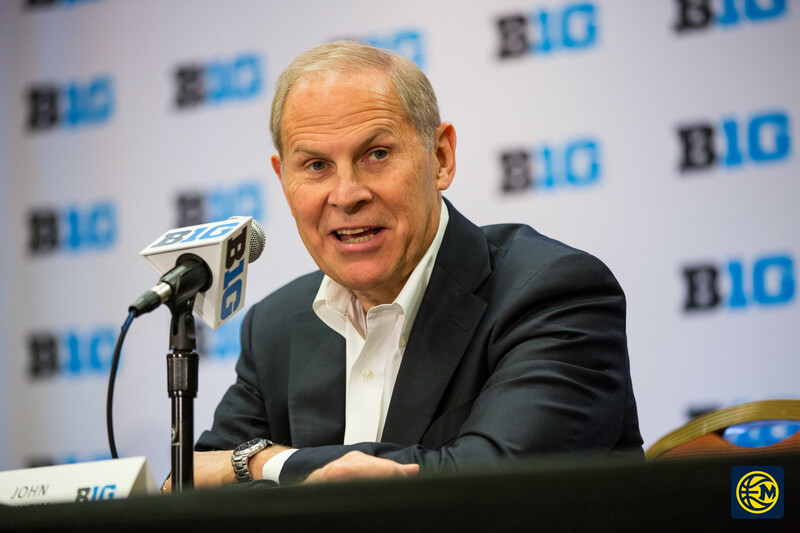 Furthermore, throughout the discussion, it became evident to me that the concepts of religion and sports are by no means awkward, disconnected, or murky for Coach Beilein – much less mutually exclusive. Rather, basketball and Catholicism remain two integral parts of who Beilein is as a man. They fit together naturally, and both allow Beilein to live what he described as a “purposeful type of life”. Nice article, Samantha! Great to see that sports and spirituality are part of the same conversation at UMich.